” Life is the art of drawing without an Eraser”. 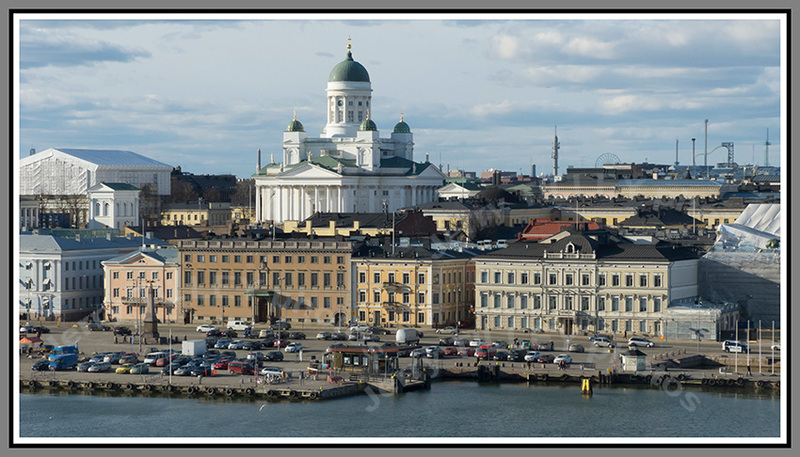 Two photos from Helsinki, Capital of Finland. One thing that you will NOT see a lot of in Helsinki (nor in Finland in general) are European Union flags. The EU is not popular in Finland, and even on public buildings such as the Finnish Parliament and Helsinki Town Hall, you are unlikely to see an EU flag, just the white and blue flag of Finland. There is even a cafe in Helsinki which has the prices in the previous Finnish currency (maarka), as even the Euro money is not popular. Often the only EU flags that you will see are on the ferry terminals, some of the larger hotels and also on the EU Office in the city centre. Car number plates have to have the EU flag on them by law, but basically you will not see many EU flags in Finland. The first photo below is from the central Senate Square. This square, just below the Lutheran cathedral is used for pop concerts, Christmas markets and events (the Eurovision Song contest has even been held here). The buildings around the square resemble those in St. Peterburg, Russia, and parts of Helsinki were used in the 1960s and 70s for movies based on Russia, until the city council decided that it was not a good idea. Whilst the architecture and design of Helsinki makes it a great city-break destination, the best thing is the strong Finnish coffee. Finland is number one in the world for coffee consumption per capita, and the coffee there is excellent (try the ‘Roastery’ on Aleksanderkatu). Many places around the city sell great coffee from 1 euro a cup, and if you are visiting Helsinki in Winter when the temperature is -25 degrees and it is dark nearly all the day, then the coffee will be especially welcome. Thought for the day….” Sell a man a fish, he eats for a day. Teach a man how to fish, you ruin a good business opportunity”. ” An eye for an eye only ends up making the whole world blind”. 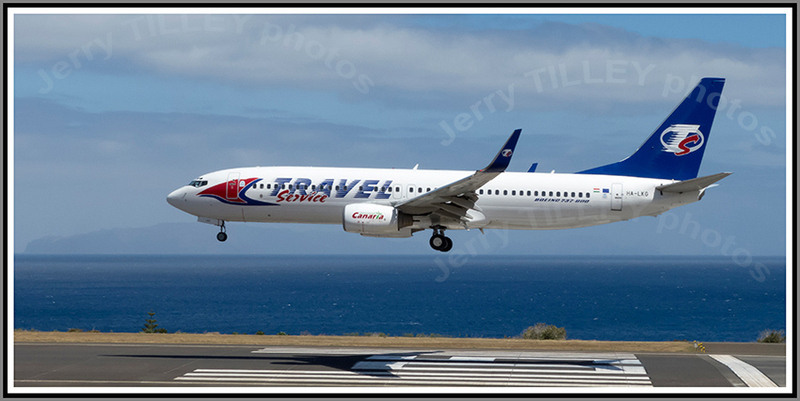 Off to southern Oman for the photo today, and to a town bordering the Persian Gulf. 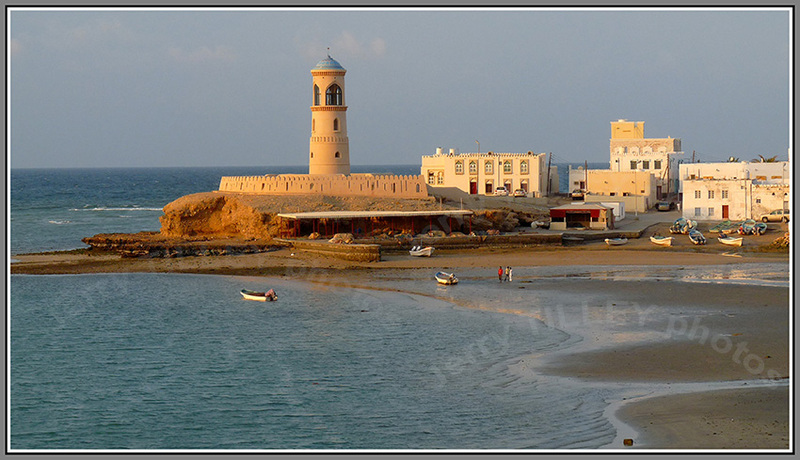 Oman, officially called the Sultanate of Oman, has a population of around 4 million people. The largest city and capital is Muscat. Oman is often hot and dry and suffers water shortages, resulting in little agriculture. Oil is the main export (around 98 % of the total) but this does mean that petrol/gas is VERY cheap if you rent a car there. Best of all for local workers is that Oman has no income tax and also that healthcare and education are free. And unlike some other areas in this region, it is a safe country, even when driving. 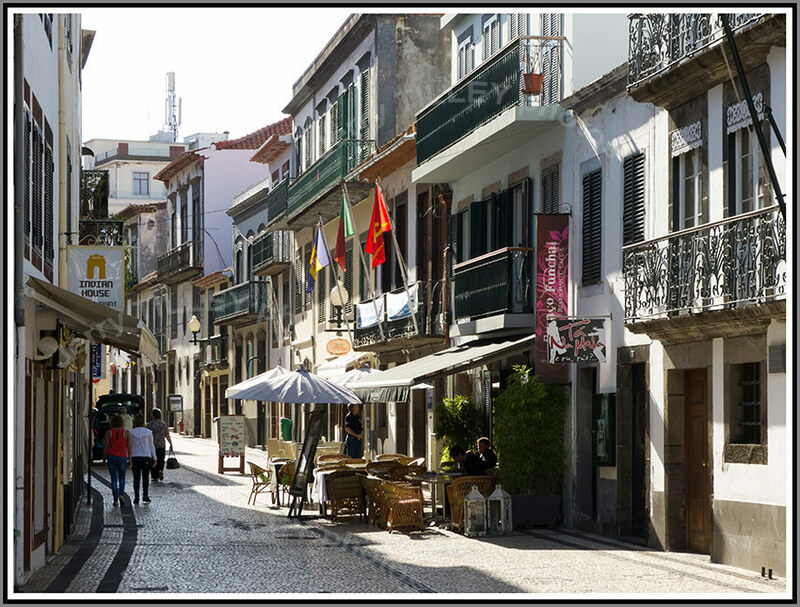 At the moment, it is not on the tourist radar, so is worth a visit before it becomes a mainstream destination. Last light of the day in the photo, just before the sun disappeared below the horizon. Another day over. 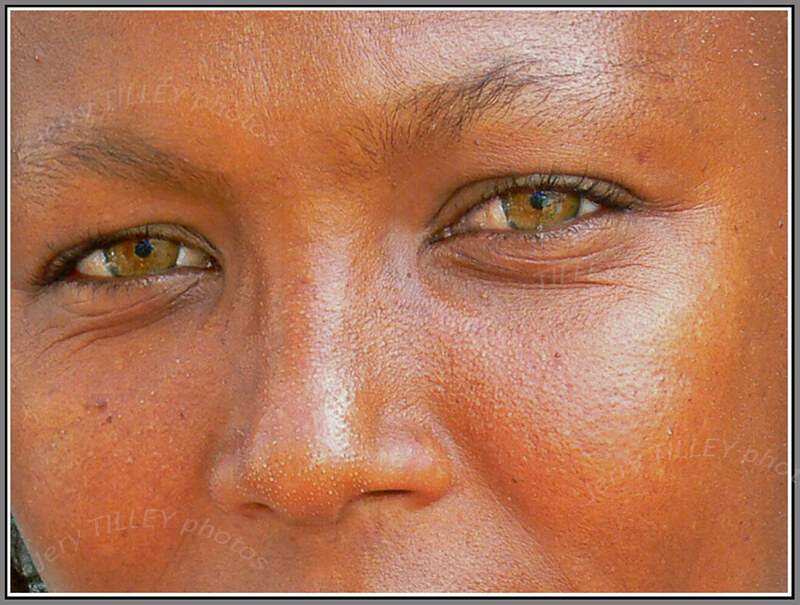 and another from the archives…a close up of a woman’s face in Cape Verde. Bath time in Thailand – Not the Quality Spa Resort Hotel, Norefjell. Thought for the day…” The pessimist sees difficulty in every opportunity. The optimist sees opportunity in every difficulty”. (Winston Churchill). ” Do not limit you challenges. Challenge your limits”. Bath time for elephants in Thailand for today’s photo. There are 2 sorts of elephants, African and Asian. The elephants from Asia have smaller ears and also smaller tusks, and is also smaller than the African elephant. Elephants also have the largest brain in the animal kingdom. Interestingly, they have only 4 teeth which can be replaced 6 times during their life. After the last tooth has come through, they cannot feed properly and die. They can also run at up to 40 km/h and drink up to 80 litres of water a day. 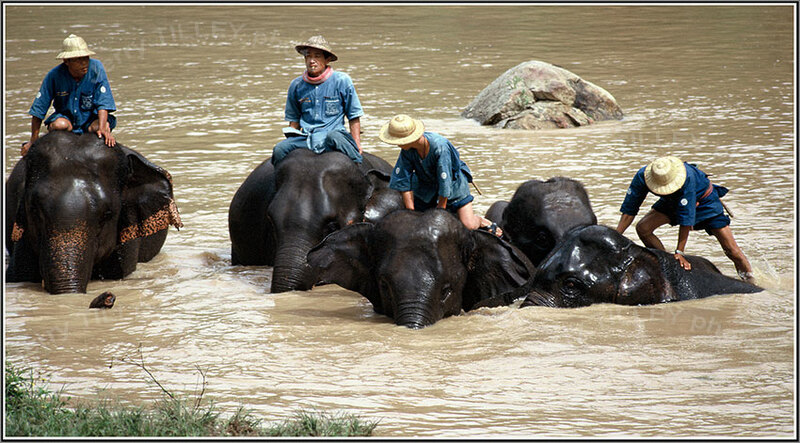 They can also swim and are seen here in northern Thailand during their daily bath. Deep thought in the market – Not the Quality Spa Resort Hotel, Norefjell. Thought for the day….” A goal is a dream with a deadline”. ” Whether you think you can, or you think that you cannot, you are right”. 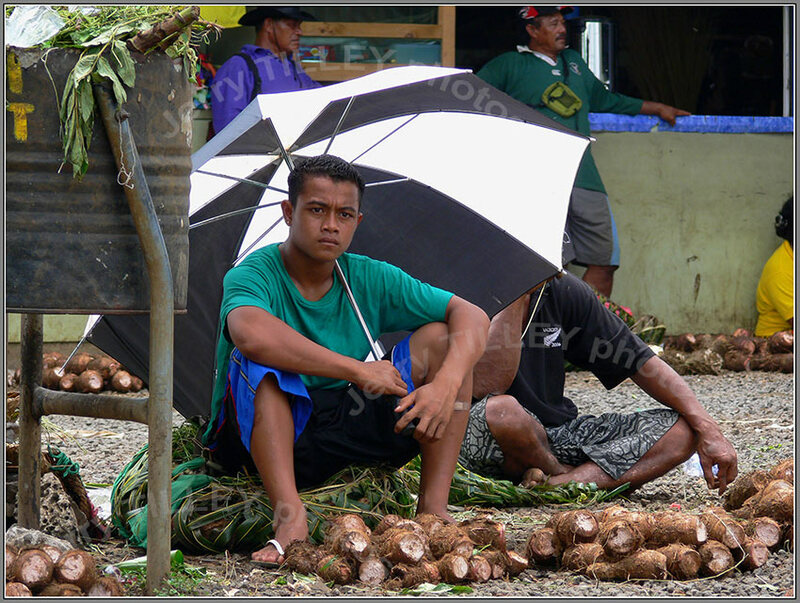 Another photo from the market in Apia, Samoa for the picture today, but this time from the taro section. Taro is a starchy root vegetable, popular in South East Asia and the Pacific Islands. It is one of the few crops which can be grown in flooded conditions, and thrives in damp or wet soils. Interestingly, it is inedible when raw and has to be cooked or soaked in water overnight before being eaten. The leaves are also used in cooking, as well as the main part of the plant. Fantastic even light for this photo, and an easy shot for the camera. 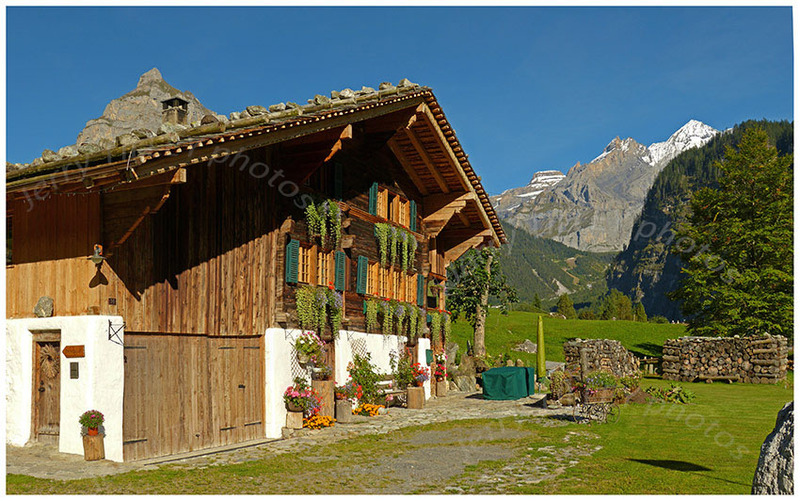 And one from the archives…..a Swiss chalet in Kandersteg….